Bright ink colors flow on smoothly...wipe off easily.COLORS go on wet, dry instantly, and wipe clean with a dry tissue, cloth or chalk eraser. No mess. No stains. CERTIFIED AP NONTOXIC. 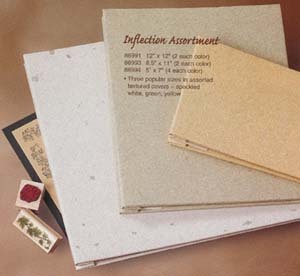 Conforms to ASTM-4236. Dry Erase Marker Black - For use on White Boards, Glass and most non-porous surfaces. Dry Erase Marker Red - For use on White Boards, Glass and most non-porous surfaces. Dry Erase Marker Blue - For use on White Boards, Glass and most non-porous surfaces. 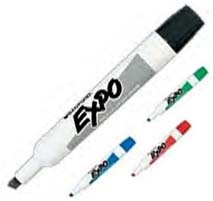 Dry Erase Marker Green - For use on White Boards, Glass and most non-porous surfaces. Dry Erase Marker - For use on White Boards, Glass and most non-porous surfaces. Copyright � 1999-2002 V & K Details, Inc. All rights reserved. 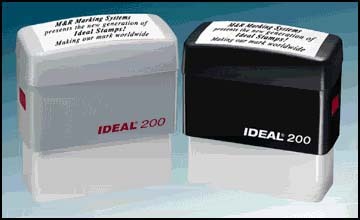 and Rubber Stamps Inks and pads are in large supply here as well as punches (craft) and other items. Ty Gifts are available here also.